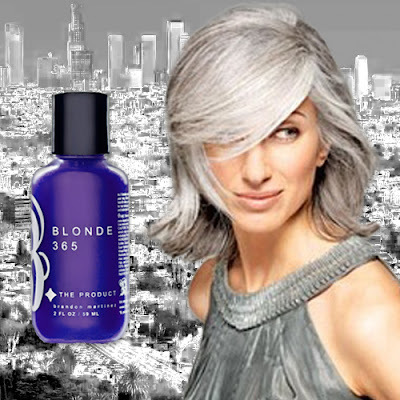 The Blonde 365 isn't just for Blondes and color treated hair. It's a fact that silver and grey hair gets discoloration from from chlorinated, or mineral treated water. The sun can also do a number on those classic silver strands and make them yellow like a smoker's teeth. Fortunately the Blonde 365 can eliminate any yellow or green that could possibly be giving you a bad hair day, or week. Just need to brighten things up? You will immediately see a difference with just one shampoo with the Blonde 365. You will notice that your color is brighter, shinier and will give your natural hair color a face lift! Never used this kind of shampoo before? Shampoo as normal. Leave in for 5 minutes and rinse out. Use once a week.